Before Black Mirror, Fargo and True Detective came and wowed mainstream Television fans with the anthology storytelling format, American Horror Story has been using the format to illustrate and dramatize the capacity of mankind for evil and our daily fears. The anthology format has been largely effective, both from a technical point of view and for viewers, who are allowed to watch any season without worrying about losing backstory from previous seasons. It also allows quality cast members to stay or reappear on the show in different roles, giving busy actors a chance to spread their wings in terms of their characters on the show, although that is a privilege that has only been enjoyed by Evan Peters and Sarah Paulson. American Horror Story is the brainchild of creators Ryan Murphy and Brad Falchuk, the brains behind Glee, a more fun and lighthearted drama, in what is perhaps a metaphor for the duplicity of man. AHS as fans fondly call it, was conceived before Glee went into production. The two creators together sold a story format to television networks that was ultimately picked up by FX who ordered a pilot in February 2011. The show was officially picked for a first season in July 2011. Today, the show has run for eight seasons with season nine already in the works. The idea to make it an anthology series was part of the original idea for the show as part of the creators’ desire to make each new season as unique as possible. It has been largely critical to the continued survival of the show, with each season achieving critical and viewing success. Throughout its eight seasons thus far, the show has never dipped below 60% in ratings on popular review aggregator site, Rotten Tomatoes with the lowest rated season rated at 63%. It has achieved this through exceptional storytelling and a great ensemble of a cast that delivers quality performances in every season. The exact release date for the next installment in the anthology series hasn’t been announced, but the show is expected to return on air in the fall of 2019 in tradition with other installments in the series. No official announcements have been made, but we expect that the date will be announced once the creators are certain of their readiness to blow our minds. As for cast members, no official announcements have been made either. However, due to the strong attachment of Evan Peters and Sarah Paulson to the storyline of the anthology, there is a good chance to expect them to both return to the show for its latest season 9. The theme for American Horror Story season 9 has been revealed yet. This is not surprising because it has been the norm with the other seasons before their release. Typically, the theme and plot are revealed a few months to the release of the first episode because the creators like to keep these details close to the chest to avoid leaks that may nullify the suspense created so far. As mentioned earlier, American Horror Story is an anthology story with each new season largely disconnected from others. 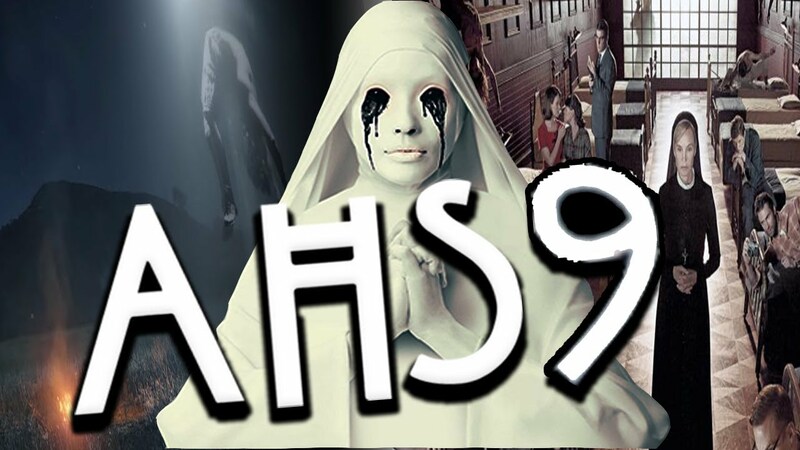 The show has been able to use this disconnection to introduce new themes for each new season, so it may be rather difficult to pinpoint exactly what to expect for AHS season 9. Here is a look at the individual themes of each season of the previous seasons. The first season of American Horror Story was the show’s creators’ chance to show the world the disturbing madness they had cooked up and the show did not disappoint. The first season explored our silent fears and neuroses through the Harmon Family who had moved to a new home in Los Angeles from Boston. The family, which appeared perfect on the surface had deep fractures with the relationship between the parents, Ben Harmon (Dylan McDermott) and Vivien Harmon (Connie Britton) on the verge of breaking up because of Ben’s affair with a student. Moreso, their only daughter, Violet is detached from the family as a result of depression. The show, using spirits and ghosts of people who died in their new home, explores the fears and dynamics of the dysfunction in the Harmon Family. The second installment of AHS Asylum has a theme of horror stories that are commonplace in the Horror genre. The grimness of a place detached from the rest of the world and the possibility of housing some of the world’s worst personalities made it one of the best iterations of the American Horror Story. This season explored our fears about asylums through Lana Winters, a journalist who tried to uncover the truth about Briarcliff Manor, an asylum located in Massachusetts. Her investigation into the practices of the asylum eventually lands her as a patient of the asylum where she discovers the truth of what the management actually does with the patients. Also, aliens are involved and unlike Murder House which had flashbacks to the past, the story is set in 1964. The third season of the show brings it back to the present where supernatural personalities like witches are seen trying to consolidate their existence after almost going into extinction during the Salam Witch Trials. The show explores the desire for survival through the lens of witches, who strived to protect themselves from the rest of the world. It also had a look into the power dynamic that exists between the old guard and the new guard. The season’s story features a lot of contrast between two different worlds, showing the differences and connections between them. It also featured A-list actress Angela Bassett. The fourth season was set in the past, specifically in 1953. The season is about a carnival show in Jupiter, Florida that comprises all manner of freaks. From a three-breasted woman to a bearded lady, to seemingly normal rich men and women who are revealed to have their own dark plans. One could say that the real theme of American Horror Story: Freak Show is the simple fact that regardless of our looks, there is a dark side in all of us. The season saw actors like Angela Bassett and Neil Patrick Harris play significant characters throughout the season. AHS returned to Los Angeles, California, the first city of its stories in this season exploring the strange happenings that characterized Hotel Cortez in 2015. The season tells the story of Hotel Cortez and its inhabitants through the perspective of John Lowe, a detective who had taken interest in the hotel at the expense of his family. He would soon come to learn of the Hotel’s part in the disappearance of his son, the dark secrets of the hotel’s owner and staff members. Also, there are spirits and ghosts involved. The show continued steadfastly in delivering fright and screams to its viewers in its sixth season through the Roanoke Colony. Ryan Murphy delivered a much different styled story, presenting the season in the alternating form of a documentary about the events of the 1580s about the Roanoke Colony and a present-day connection to the colony in the form of a couple that moved to the house on Roanoke Island. The sixth season was a much-needed reignition in the American Horror Story series that continued with the next installation Cult. AHS has always been an exploration of some of the seemingly normal thoughts and behaviors in our regular lives and wrapping them in some of our worst fears. It took things a little closer to home in 2017 when it set the season on the election of Donald Trump as US President. Through a cult in the fictional town of Brookfield Heights in Michigan, Ally is seen to portray the dominant fear and mistrust among Americans who were surprised and worried after the election of Donald Trump. The rise of the dangerous rhetoric peddled by Donald Trump is explored through the rise of a cult led by Kai Anderson. Perhaps its biggest season yet and the most ambitious in terms of the scale of fear and anxiety, AHS: Apocalypse tells the story of the Antichrist who had destroyed the world with nuclear warfare. The season’s story which was an exploration through the Antichrist’s actions and the few survivors who resided in Outpost 3, had a thematical similarity to the nuclear threats that dominated 2018 between the United States and North Korea. Through working together, those who inadvertently let the Antichrist gain power worked together with those who were still alive to topple his reign and defeat him. Evan Peters – He has starred in all eight seasons of the show so far and has only played the same character twice. Sarah Paulson – The creative actress starred in all eight seasons, playing the same character thrice. She is one of the leading faces of the show. Frances Conroy – has starred in seven seasons, missing out only on the fifth season. She has played two different characters twice. Angela Bassett – She started appearing on the show in the third season. Since then she has only missed out on the seventh season, playing the same character only twice. Lily Rabe – Lily has starred in seven out of eight seasons of the show, missing out only on the seventh season. She has played the same character, Misty Day twice. Other notable cast members include Kathy Bates, Denis O’Hare, Taissa Farmiga, Dylan McDermott, Jessica Lange, Finn Wittrock, and amongst a host of others. Special guest stars include Neil Patrick Harris, Cuba Gooding Jr., Kate Mara, Ian McShane, and a few others.